This article will describe you how to export Exchange 2010 Mailbox to PST. A request of mailbox report is a process of exporting mailbox and other related data to a PST file. Only one export mailbox request can be created per mailbox, and each Mailbox request must have a unique name. 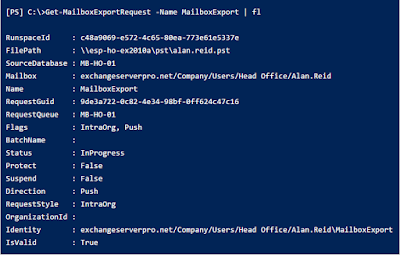 Let’s talk about the command we will be executing to Export Exchange 2010 mailbox to PST. PowerShell commands are introduced by Microsoft Exchange 2010 and are now becoming popular day by day as users are migrating to Exchange Server. They are very helpful resource for exporting mails in severe conditions where EDB files are corrupted, dismounted, or disconnected. There are various new features provided by Microsoft to Exchange Server, one of them is the use of “cmdlet” for exporting mailbox data to PST. Cmdlets are usable for carrying out administrative tasks and on premise Exchange Server premise. However, New MailboxExportRequest command is available in Mailbox Import and Export role, to use the PowerShell command we have to add the Mailbox Import Export role to a role group. 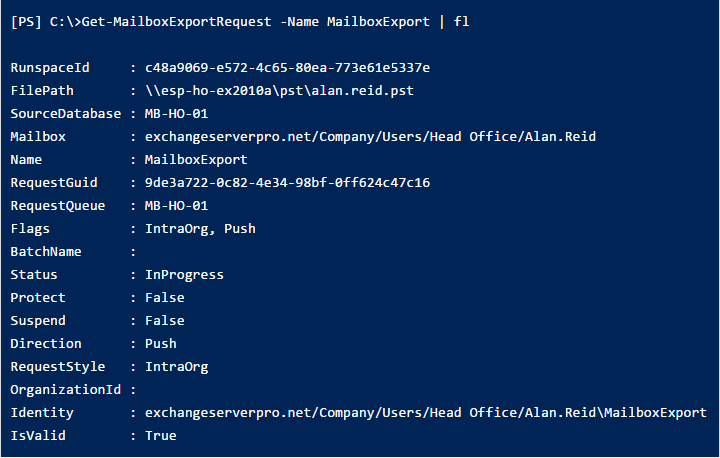 Here, we discuss how to add a role to a role group and easily export Exchange mailbox to PST using PowerShell Command. 9. To completely clear all the completed mailbox export requests from Exchange, run the following command. 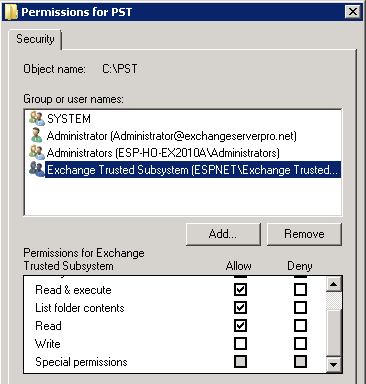 This blog is aimed to make users know that they can export their Exchange 2010 Mailbox to PST. Moreover, in order to do so, instead of using third party EDB to PST Converter Software could be used for this extraction. In addition, the only two required parameters for the command are the file path to export PST file and the name of the mailbox to export along with administrative rights to the server.